Smart craftsmen want performance and value. 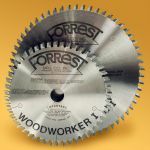 Serious woodworkers count on American-made Forrest saw blades for smooth, quiet cuts, every time... without splintering, scratching or tearouts. 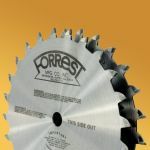 No matter what your application, Forrest blades are simply the best money can buy. That's why discriminating craftsmen prefer them! "It is a pleasure to deal with a company like yours. You produce the highest quality of product and back it up with reasonably priced service after the purchase. I look forward to purchasing more of your products in the future..."
"It is so nice to see a company here in the USA making a quality product at a fair price." "Thank you for your great saw blades. 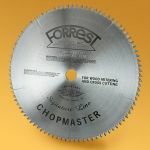 I believe the cutting tool is only as good as the blade that goes on the machine and this is why my woodworking friends and I choose Forrest." Forrest Chopmaster from Stephen Price on Vimeo.